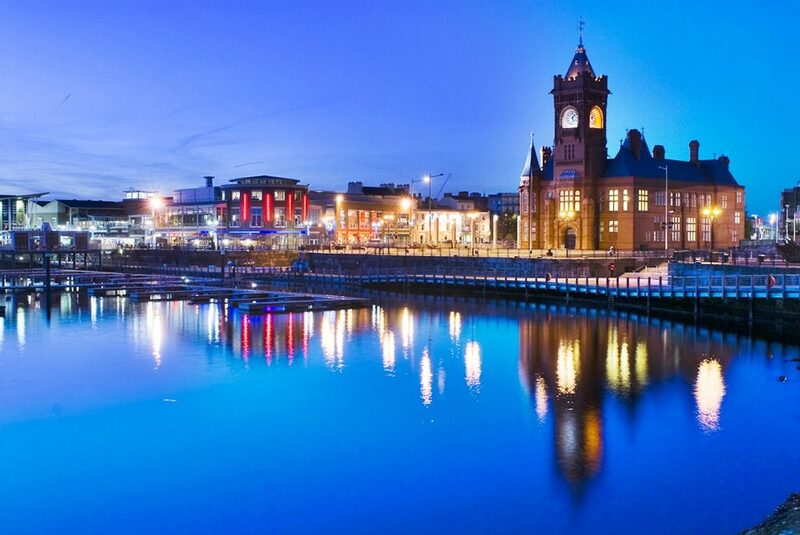 South Wales, which includes Cardiff City, is one of the most historic regions in the entire United Kingdom (due, in no small part, to the sheer amount of land which it covers). Among the many sites South Wales boasts are Llandaff Cathedral, Tinkinswood, and Roald Dahl Press. As well as being home to more than two million people, South Wales is also the chosen residence of a wide variety of spirits, some non-threatening and some nothing less than evil. We’re going to cover ghosts of both descriptions and everything in between in this article. 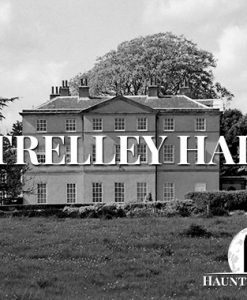 Here are five of the most haunted places in South Wales. There are castles all over the United Kingdom and most of them are pretty scary regardless of whether they have a history of paranormal activity or not. Castell Coch, however, is unique in two ways. Firstly, the division between this world and the next seems to be particularly thin as ghostly goings-on are regularly reported. 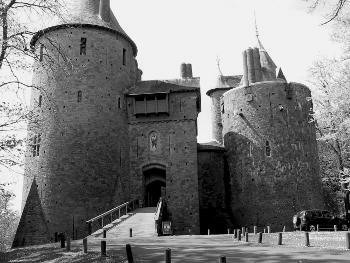 Furthermore, Castell Coch is a relatively new building when compared to other castles. Castell Coch was built on the site of 13th Century ruins in 1870, meaning it is just a couple of decades more than 100 years old. It was designed by architect William Burgess, who was commissioned by John Patrick Crichton-Stuart, the Third Marquess of Bute. Crichton-Stuart intended the building to be his little hideaway in the hills, but apparently it failed to meet his expectations. The following owner of Castell Coch, a Lady Gwendolyn, was driven out of the building not long after it came into her possession. According to Gwendolyn, she frequently encountered the spirit of a woman dressed in white. Though the ghost did not appear to be malevolent or in any way interested in the business of the new owner, Gwendolyn, like most people, decided it was one haunting too many and went packing. The woman is not believed to have any connection to the castle, but rather to the centuries-old ground upon which it was built. It is said that her time on earth was marred by the loss of her son, who disappeared when still a child. It was later discovered that the boy had fallen into a well and drowned, though the woman never learned of this. She still roams the area around Castell Coch, presumably searching for her son, unaware that he has moved on. 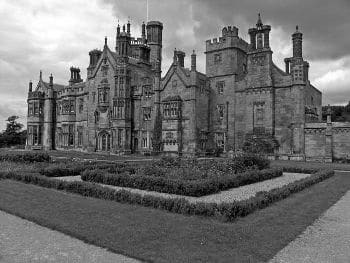 Going from one relatively young haunted castle to another, next up is Margam Castle in Port Tablot. Though Margam Castle was originally constructed for Christopher Rice Mansel Talbot in the mid-19th Century, the grounds on which it was built were in use by humans for thousands of years prior. In fact, it served as an abbey from the 11th Century until King Henry VIII’s infamous falling-out with the Catholic Church, which led to him dissolving the Catholic monasteries throughout his Kingdom. Like Coch Castle, many of the ghosts at Margam Castle are the spirits of those whose lives closely linked to the area rather than the building itself. However, one of the most familiar spirits at Margam Castle is that of a man who worked as a gamekeeper in the current building. The man in question, Robert Scot, is said to have been murdered on the job, his life taken by an unruly poacher. Scott has been reported all around the grounds of Margam Castle, though his spirit is most frequently seen ascending the castle’s gothic staircase. Unlike a lot of castle spirits, Scott’s haunting is not residual. In fact, he frequently communicates with psychics and expresses the anger which he feels over his untimely and unjust death. 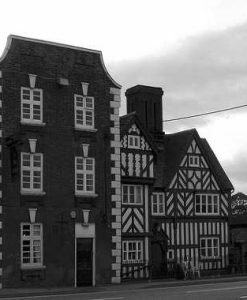 Nobody is quite sure just when Llancaiach Fawr Manor was built, but references to the building appear in John Leland’s Itinerary, which was released in 1537. Most historians agree that there wasn’t much time separating the construction of the manor and the Itinerary, at the general consensus is that the manor was built in or around 1530. It was constructed on the ruins of another building and was designed in such a way that it would be handily defended should relations between Wales and Britain break down. Today, the Grade I building operates as a living-history museum, though visitors to Llancaich Fawr Manor my experience a bit of undead history while they’re there. The ghosts of the manor are many in number and varied in their behaviour, with almost every room in the building having its own spirit assigned to it. 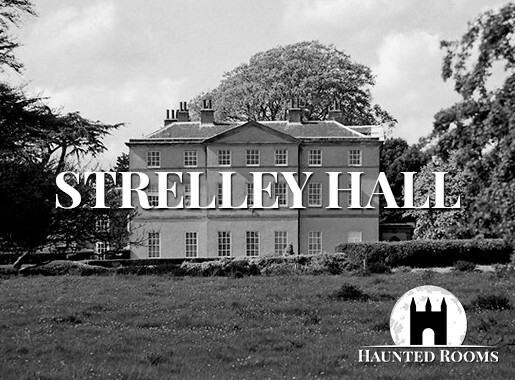 Rather than simply materialising – which they do with some frequency – the manor’s spirits make themselves known through blasts of cold air, random scents, and disembodied sounds such as footsteps and voices. Many expectant mothers who have visited the castle have reported feeling uneasy and dizzy upon entering the building, with most having to sit down or leave before their condition worsens. This could be linked to the spirit of a young boy who is often seen and heard by the manor staff. 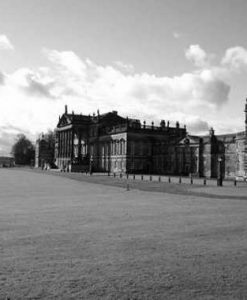 It is believed that the boy met his end after falling from one of the manor’s upper-rooms, which left him with fatal injuries. However, the injuries do not seem to plague the spirit in the afterlife, as he is quite active and has been reported to tug on the sleeves of guests and lead them by hand throughout the manor. 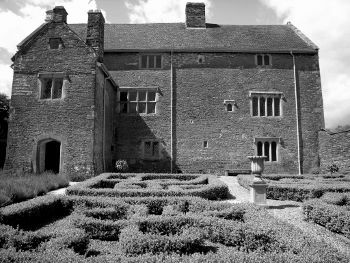 One paranormal researcher who investigated Llancaich Fawr Manor even claimed to have summoned the boy using a simple ball in a cup toy. According to the investigator, she was aided by the child in landing the ball inside the wooden cup after multiple failed attempts to do it herself. 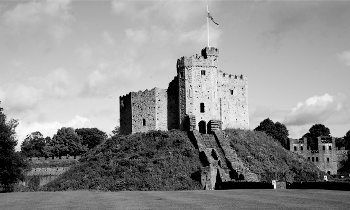 The site on which Cardiff Castle is built has been one of the most important pieces of land in all of South Wales since the 1st Century. It was here that the Romans built one of their many defence structures during their time ruling over what would later become the United Kingdom. It is believed that the original Roman fort lasted for about thirty years, coming down just before 100 AD. After Roman rule came to an end, there wasn’t a whole lot of activity on the site until the Normans came galavanting along in the early 1000s. It was during this period that Cardiff Castle was constructed, though spotty records mean no set date can be given. After being passed from owner to owner, Cardiff Castle fell into the hands of the Bute family, who held onto it until 1947, when the Fifth Marquess of Bute presented it to county council. 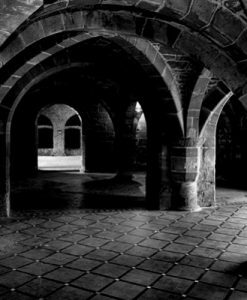 Obviously, there is a lot of history at Cardiff Castle, and so it should come as no surprise that paranormal activity at the building is reported with a startling degree of frequency. Of the many haunted rooms in the castle, one of the most active is the stockroom, where items are moved around and rearranged almost every morning by an unknown force. The few who have been lucky (or unlucky) enough to be there when this was going on report that the items are moved by a faceless ghost garbed in a flowing white skirt, resembling more a cloud of smoke than a human. Daily paranormal activity also occurs in the main dining room of the castle. It is here at a quarter past three every morning that the doors of the room open and shut by themselves, regardless of whether they have been locked. Frequently spotted at Cardiff Castle is the spirit of the Second Marquess of Bute, who oversaw restoration on the site but died before it was completed. He is seen to navigate the castle like the traditional ghost, walking through walls until he gets to his desired location. For the Second Marquess of Bute, that location is a room next to the chapel, where he passed away in 1848. 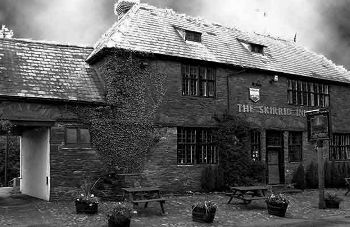 Ending this list of the most haunted places in South Wales is the Skirrid Inn, which is located in Llanvihangle Crucorney and is particularly popular in the UK ghost hunting community. The pub is said to be one of the oldest in all of Britain and dates back to Norman times. Though public houses are usually the scene of overindulgence and celebration, the Skirrid Inn has quite a grim past and has been the scene of countless horrid deaths. In fact, it is said that the building once served not only as a courthouse, but as the place of execution for those who were not fortunate enough to be exonerated. The inn did not have a gallows and so guilty citizens were simply hung from the staircase. Strange markings on the banister today are often attributed to the rope which hung there once upon a time. Because of the Skirrid Inn’s disturbing history, it is not uncommon for visitors to report a body hanging from the staircase, which may just be the most terrifying apparition in all of Great Britain. The hanging judge himself is also said to roam the inn, still enjoying the power which corrupted him during his earthly life (his hangman is believed to accompany him on occasion). The evil presence of the judge and his hangman is counteracted by the spirit of Father Henry Vaughn, a local clergyman who many believe took up residence in the pub shortly after his death. Many visitors to the Skirrid Inn report a feeling of safety from a danger they didn’t even know they faced when Father Vaughn’s ghost is present.